Build a strong and mindful foundation for a sustainable yoga practice. 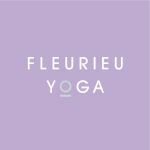 This class will focus on alignment, concentration and breath, underpinned by yogic philosophy. In these relaxed and friendly classes, we will explore the fundamentals of yoga and build poses from the ground up. These classes are for people desiring a slow, considered approach, with detailed instruction & a very attentive, experienced teacher. Great for beginners and more experienced practitioners wanting to hone their alignment awareness. 1. Standing poses - These poses are grounding, strengthening and stabilising They. Invigorate, heat and strengthen the entire body increasing circulation and stamina. Strengthening the legs also helps to prevent and treat back ache. 2. Backbends - Bring mobility to and strength to the spine. They stretch the hip flexors and help open up the shoulders and chest. They improve posture and can help to alleviate some kinds of back and neck pain. 3. Forward Bends - Stretch the whole of the back and back of the legs and create flexibility in the knees & hip joints. The action of forward bends is said to fan the digestive fire but quieten and cool the brain. 4. Restorative - This class will deeply relax the body, still the mind, balance the nervous system and boost the immune system. Pranayama is also part of this class. 5. Miscellaneous - Balances, twists and other poses are looked at in this fun and challenging class. Twists are important to maintain flexibility of the spine and muscles of the back, they can relieve pain in the neck, shoulders and back. The twisting action wrings out stagnation of the abdominal organs. Balances are important for the health of the knees, they strengthen the leg muscles, strengthen the nervous system and cultivate steadiness and poise.